Please read the descriptions of the lovely jams, chutneys, relish and salad dressings we have in stock and select which you would like to add to your order from the drop down menu. Unfortunately we cannot deliver jams, chutneys and marmalade etc alone, they must be purchased in conjunction with a veg box. Due to the artisan, small scale nature of the producers we work with, please note, we may not hold stock of everything listed on our website all of the time. You will be notified after placing the order if something is unavailable. All of our jams, chutneys, salad dressings and marinades are suitable for those with a vegan or vegetarian diet. The Paddock is very proud to announce a range of jams and chutneys from Jean's Jams. Jean Read's distinctive, soft set jams, curds, marmalades and chutneys are freshly prepared by hand in small batches, using the best of ingredients right here in Newcastle. These artisan jams, with no additives and high fruit content are enjoyed by many discerning jam lovers. We are also delighted to be working with Fat Lass Preserves, homemade preserves, jams and chutneys with a twist, made using only the finest British vinegar and seasonal produce with a Geordie theme. Handmade in small batches in the heart of Newcastle. 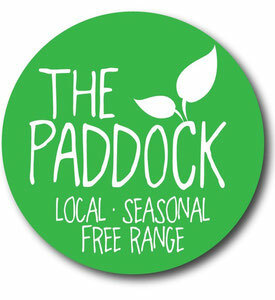 The Paddock is very excited to announce a range of exciting chutneys and sauces from The Pickle Palace, Greenside handmade using gluts and fruit and veg which has been rescued from landfill. Below is a short description of a few of their most popular products to name just a few, more are listed on the drop down menu. Lime Chilli Sauce: A deliciously sweet pouring sauce. Spicy yet refreshing, this is beautifully versatile and can be paired with chicken, prawns, potatoes, in a stir fry, poured over sausages and baked or simply as a dip for anything you fancy! Pear Chutney or Spiced Marrow Chutney: This has been described as 'Christmas in a jar'! Warm and comforting, it is spiced with cloves and cinnamon and is an ideal accompaniment to game or pork pie as well as a good strong cheddar! Indian Carrot Chutney: This fresh, crisp chutney is ideal with poppadoms or on the side of your curry. Flavoured with warm Indian spices, it also makes an ideal extra in a cheese sandwich or on a lunchtime salad! Easy Garlic: An amazing product which has so may uses! Incredibly simple, (it only contains garlic, olive oil and salt) it is an invaluable addition to any fridge! Add it to butter and spread on a baguette and you have home made garlic bread, 2 teaspoons added to your bolognese and you'll never have to chop garlic again! Use it in stir fries, add it to curries, smear it on chicken; this will add amazing flavour to any meal! Please select which you would like from the drop down menu below.